The video above gives us a glimpse of what will be possible with Tango in the future, including integration with Glympse (the app). Glympse is a location sharing app, and with Tango's indoor location sensing technology, it can show you where your friends are in real time either in a top-down view or as an augmented reality overlay. This is something I've personally wanted for ages. 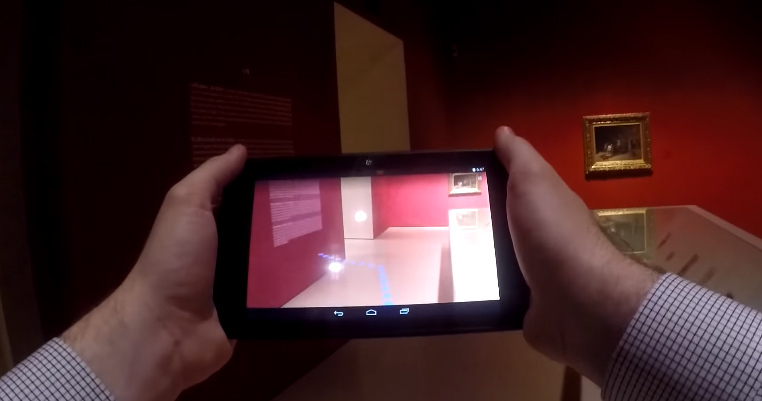 The video also shows integration with GuidiGO that can tell what you're looking at in the museum and surface additional information. Unfortunately, this video doesn't show off any of Lenovo's hardware; it's just about Tango itself. All the demos are being done on the old Tango dev kit tablets. Hopefully Lenovo has more to say about its Tango phone soon.